For me, winter doesn't live up to its name unless the world has a nice covering of white, glistening snow. Gentle snowflakes falling, building snowmen and shoveling walks are all part of a magical, sometimes slightly inconvenient, winter experience. But, what happens if the snowfall is so extreme, you can't even leave your house? 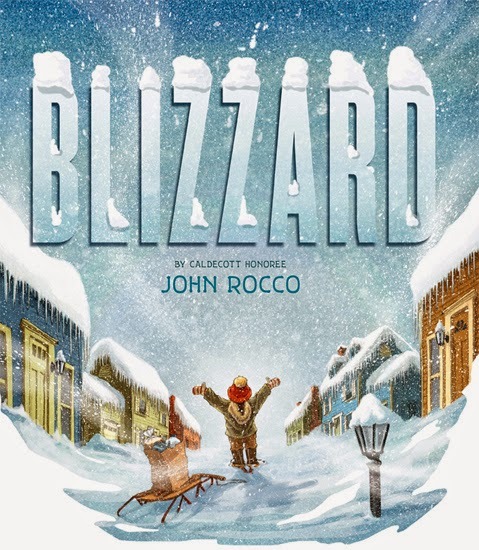 Blizzard by John Rocco is based on the author's true experiences in the blizzard of '78 that blanketed his town in forty inches of snow when he was a boy. A snowstorm that trapped people inside their homes, canceled school (obviously), and left a community watching for snowplows to clear the roads and release them from their snow prison. On page one (before the title page), creative pictures cover a small boy with snow, inch by inch, pulling you into a snowy wonderland that transformed everything in an instant. Snow-covered pictures look like a real blizzard has enveloped the pages and the clever use of everyday items, such as the stop sign almost entirely buried in a snow bank, bring home the seriousness of the storm. The passage of time is expertly laid out as each day is identified in a different way. Tracks in the snow, raisins on the floor and the top of a grocery list are a few ways Rocco counts down the weeklong adventure. When rations get low, young John decides to implement the training gleaned from his "Arctic Survival Guide" and he sets off with tennis rackets on his feet and a sled to carry supplies on a journey to the neighborhood market. A sense of adventure carries him along as he checks in with neighbors and makes a list of things to pick up at the store. The neighborhood connectivity and historical details (the clerk uses the store phone to call John's parents, letting them know he is on his way) create a charming and heartwarming glimpse into the past. 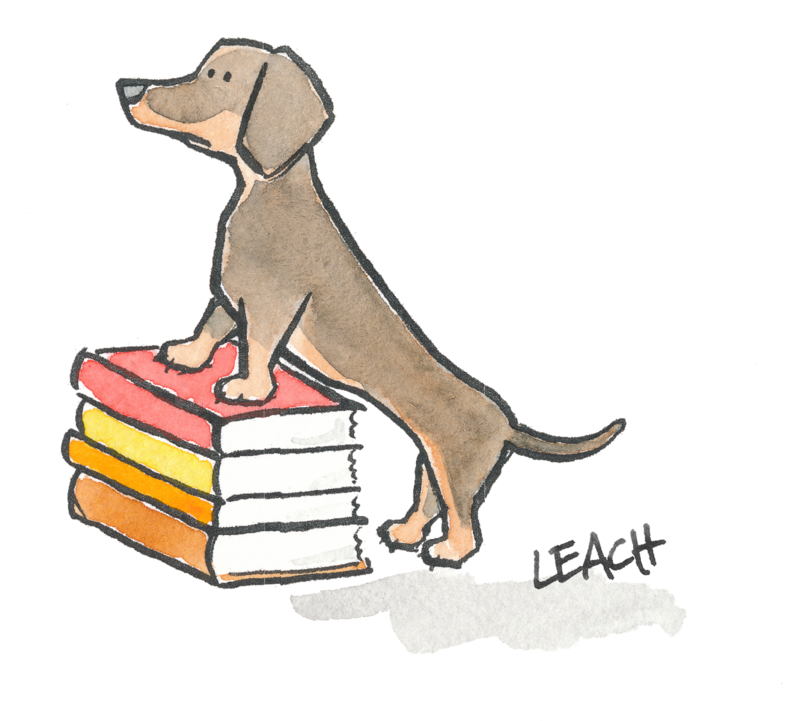 Rocco deftly recalls a personal "heroic" story filled with charm, nostalgia and adventure that will appeal to all readers. This is a must have for any winter library. If you haven't tired of lists yet, we have one more for you to peruse--our favorites. These are 2014 books that we read, re-read, shared, and bought for our personal library shelves. Every title is a keeper! This December, I was hoping for a big snow storm so I could have an excuse to share some of my favorite snow books. But our weather has been unseasonably warm, so I gave up on waiting for snow and read the books anyway. I brought one of my favorite childhood books, Katy and the Big Snow by Virginia Lee Burton to show the kids, and we looked at the map of the city and the picture of the snow-covered city. We discussed similarities in the pictures of David's town in Big Snow. The students also enjoyed finding the days of the week in the illustrations for Blizzard. I appreciated the author's note at the end of the story that led to an interesting discussion as we discussed the question many of the students asked: Why didn't the soldiers just make peace if they wanted to stop fighting? Best of 2014 -- More Lists! Kirkus Best Children's Books of 2014, New York Times Notable Children's Books of 2014, and Horn Book's Fanfare. And if you haven't read How I Discovered Poetry yet, you really should. Love that book!